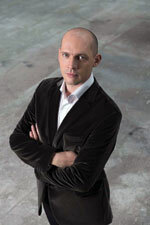 Internationally acclaimed French baritone Stéphane Degout graduated from the Conservatoire National Supérieur de Musique et Danse de Lyon and then became a member of the Atelier Lyrique de l’Opéra de Lyon. Degout gained international attention when he made a triumphant debut as Papageno at the Festival d’Aix-en-Provence in 1999. Since then, he has appeared at the Opéra de Paris, the Berlin Staatsoper, the Théâtre Royal de la Monnaie, the Theater an der Wien, the Royal Opera House in London, the Lyric Opera of Chicago and the Metropolitan Opera, Teatro alla Scala, and the Bayerische Staatsoper. He has also performed at the Salzburg, Glyndebourne, Holland, Aix-en-Provence and Chorégies d’Orange festivals. His natural affiliation with Debussy’s Pelléas has proven him to be one of the leading interpreters of this role. As a recitalist, Stéphane Degout is renowned for his highly sensitive interpretations of French mélodies and German Lieder. He has worked on this under the guidance of Ruben Lifschitz and has toured internationally in Amsterdam, Paris, London, Berlin, Brussels and New York. In concert he has performed with the Chicago Symphony Orchestra under Riccardo Muti and the Los Angeles Philharmonic under Esa-Pekka Salonen. At the Monnaie he sang Mahler’s Kindertotenlieder and Fauré’s Requiem under Alain Altinoglu, and he has also collaborated with René Jacobs, Marc Minkowski, John Nelson, Raphaël Pichon and Charles Dutoit. Stéphane Degout was appointed Chevalier de l’Ordre des Arts et des Lettres in September 2012: a prestigious award which recognizes ‘significant contribution to the enrichment of French cultural inheritance’. He was also awarded the ‘Lyrical Artist of the Year’ prize at the Victoires de la Musique Classique of 2012 and the ‘Beste männliche Hauptrolle’ in June 2013 at the Musiktheaterpreis for his portrayal of Thomas’ Hamlet at the Theater an der Wien.